Our farms are essentially all the same in terms of animal numbers, with two main distinctions: standard and organic. We are able to monitor our integrated supply chain extremely closely because it is made up of farms owned by the Pedrazzoli family. From long-standing tradition to innovation in line with our principles of environmental sustainability and respect for the rhythms of nature. Our conventional farms use methods and recipes sourced directly from Italy’s centuries-old tradition of pork butchery, particularly those from Mantua: a tradition which has given us deli meats the like of which are found nowhere else. As producers and farmers, we at Salumificio Pedrazzoli are able to monitor quality along the entire length of our supply chains, both traditional and organic. Our integrated supply chain is made up of farms owned by the Pedrazzoli family. This means we can guarantee an extremely high degree of control over our supply chain, enabling: maximum food safety and high product quality. Our product cycle is completely closed: our farming, slaughtering and processing systems are all fully integrated and connected with the land, with nature, and with the people and the expertise upon which our strength lies. 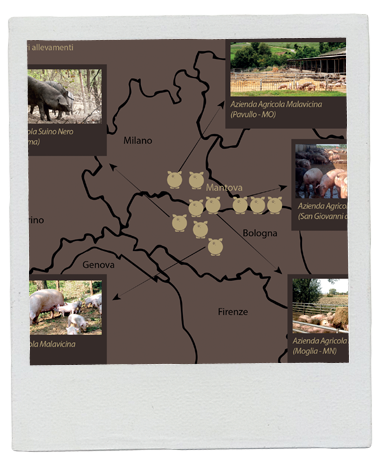 All of our products are made from the meat of 100% Italian free-range pigs, farmed in close proximity to our factory. This enables us to produce zero-mileage pork products, better protecting the environment and the welfare of our animals. 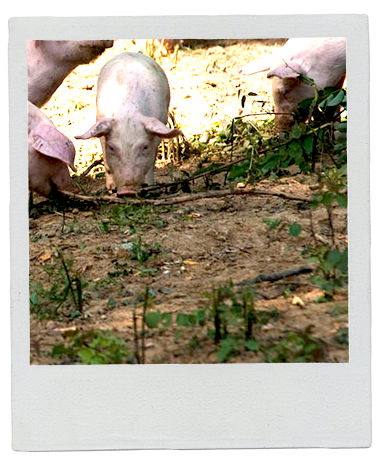 All of our pigs are zero-mileage farmed, in close proximity to our factory. 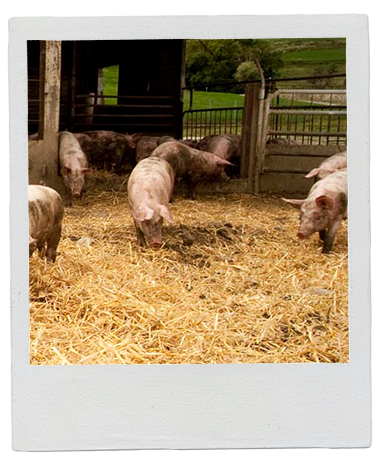 Our organic farming, however, takes place primarily on the Malavicina farm (owned and run by ourselves), which houses two sow sheds and seven open-air pig pens. We place a strong focus on our pigs’ quality of life as well as their diet: we carefully select the best raw materials for our pig feed (corn, barley, wheat, bran and soy – all strictly organic), and pay a great deal of attention to our animal-land ratio, which we always maintain at a low level to safeguard the needs of our animals and of the environment. Our organic pigs do not receive veterinary medicines… they are treated with homoeopathic medicines instead. A very low animal-land ratio safeguards the needs of our animals and of the environment. 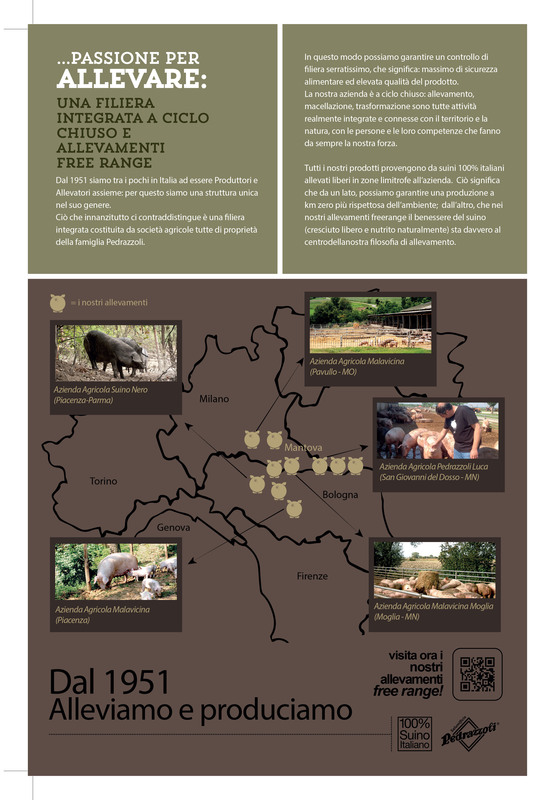 For more information, please visit our website dedicated exclusively to organic farming and the free-range methods used on Primavera Pedrazzoli farms.